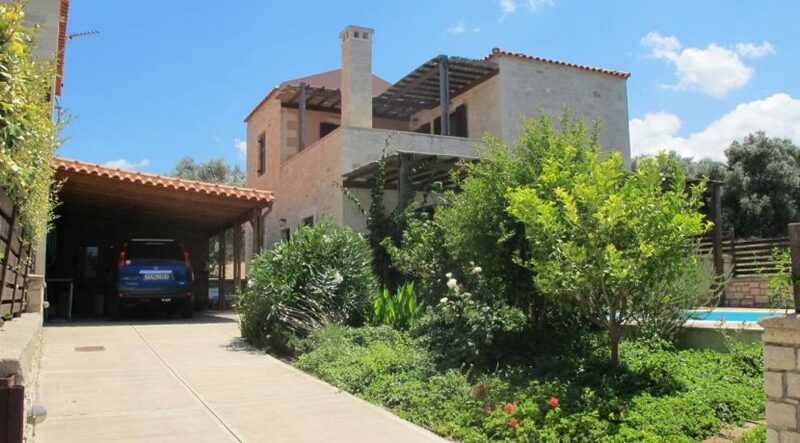 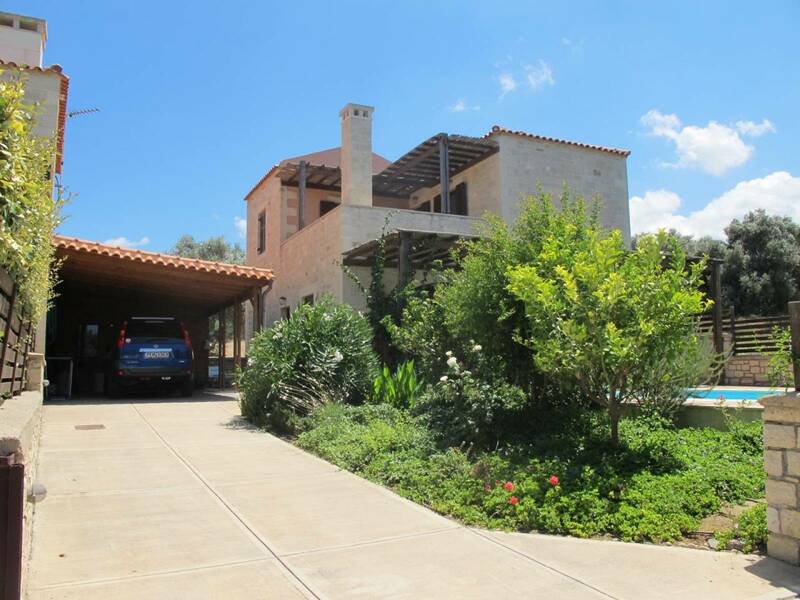 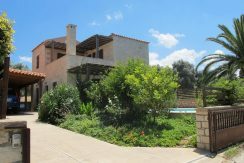 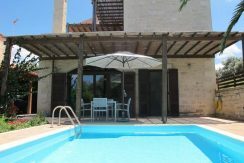 Detached stone villa with private swimming pool, garden and panoramic views of the sea and mountains.This home, designed in traditional Cretan style is offering you altogether the lux, comfort and pure nature. 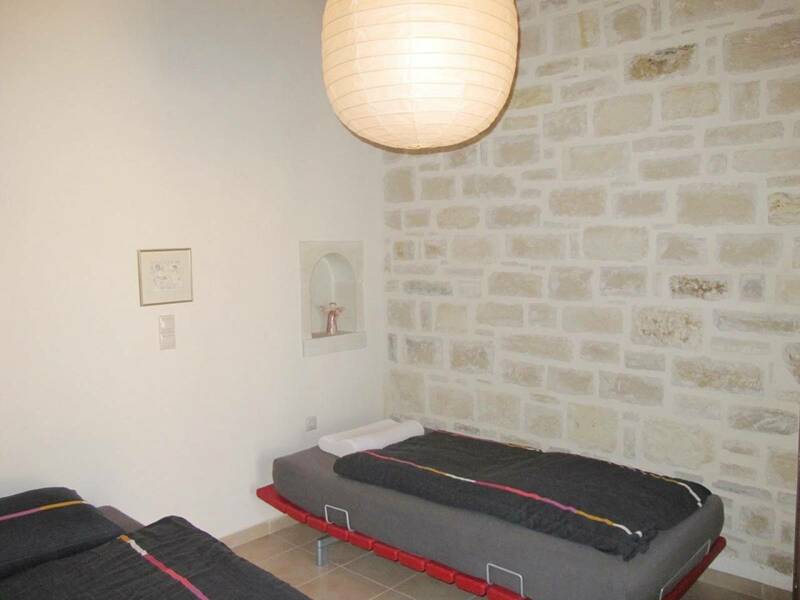 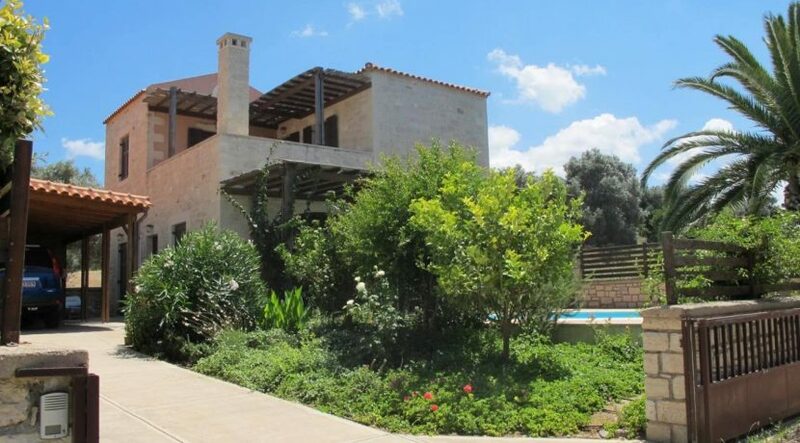 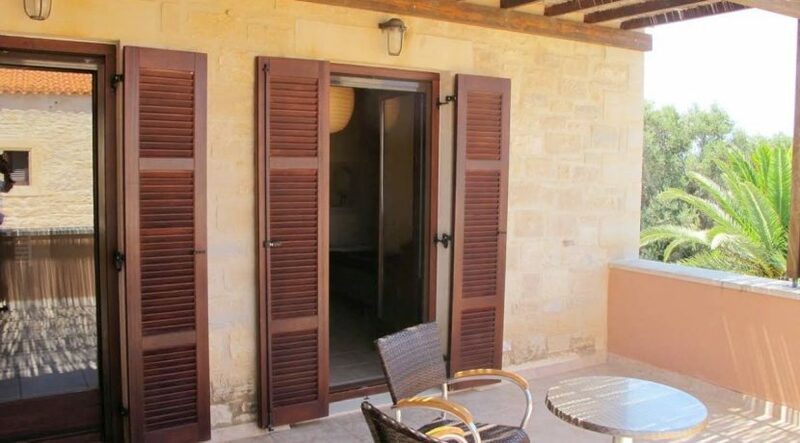 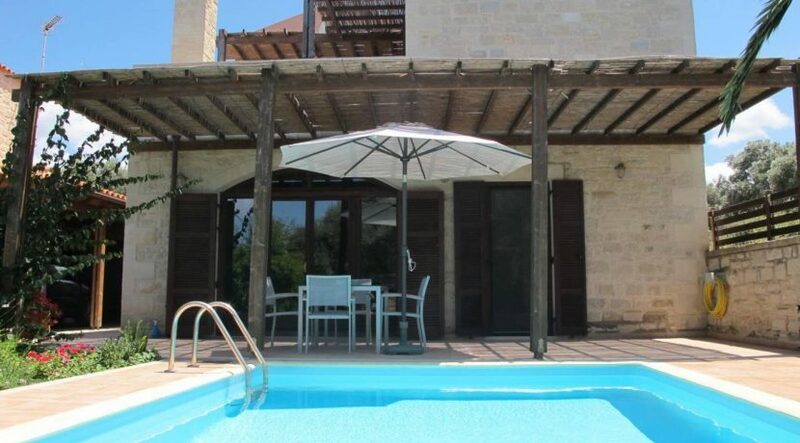 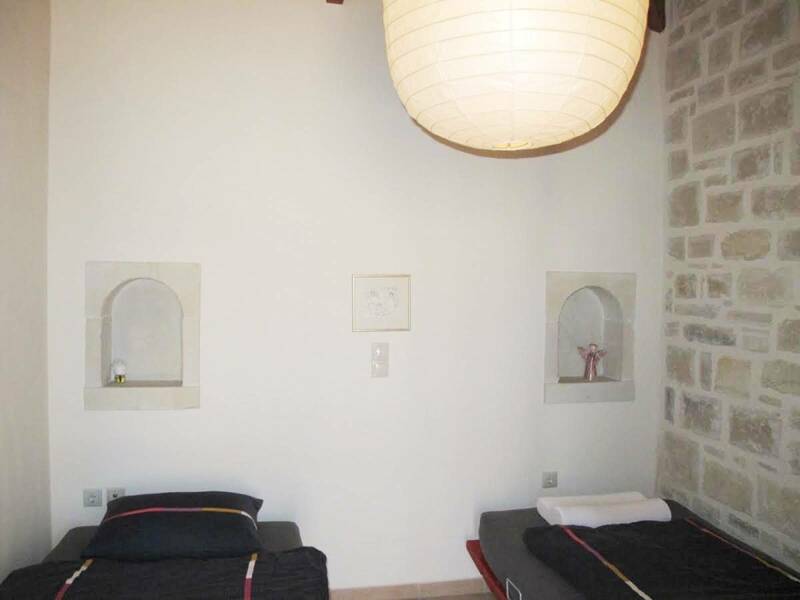 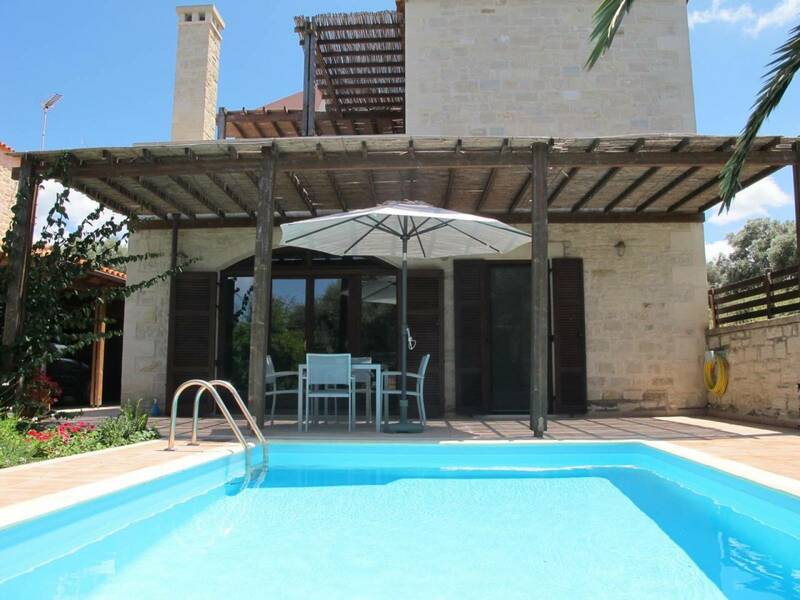 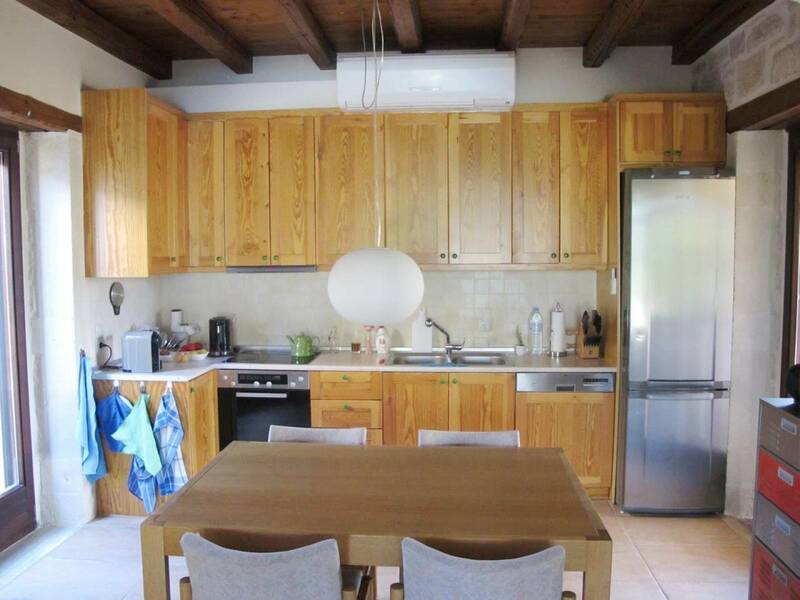 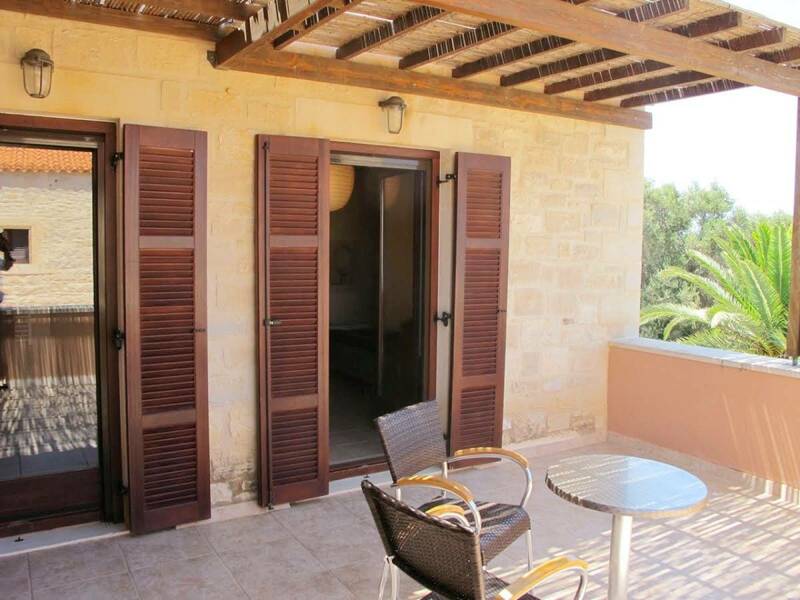 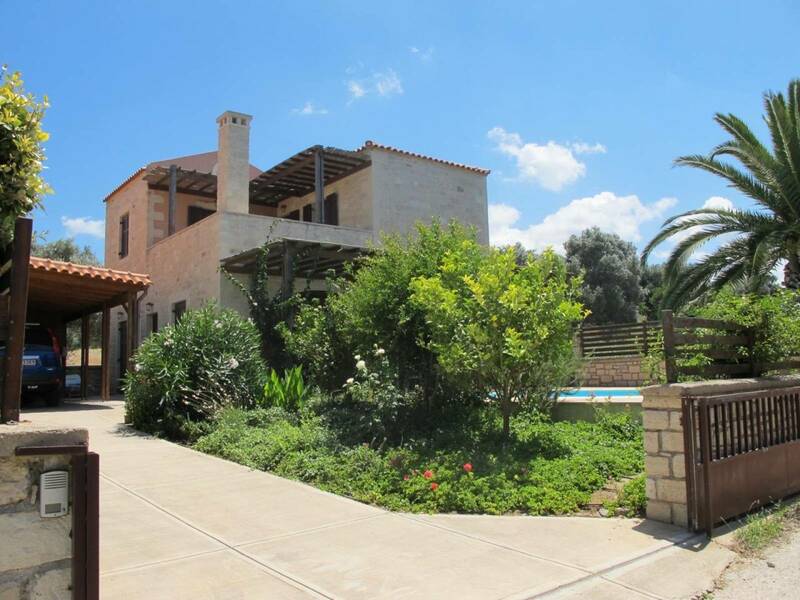 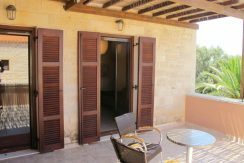 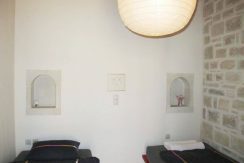 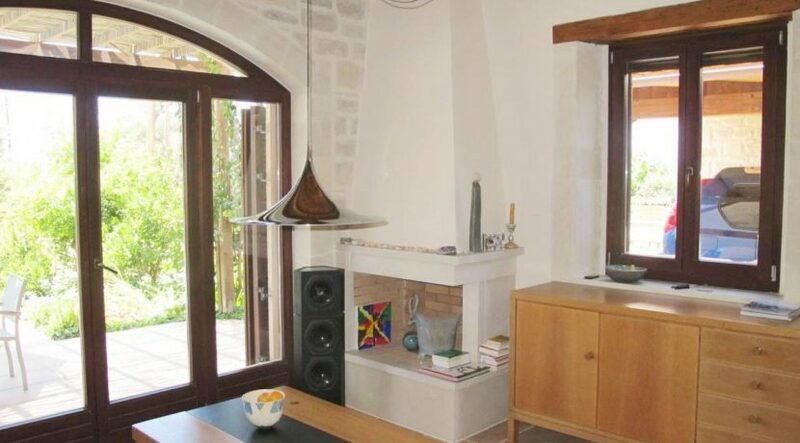 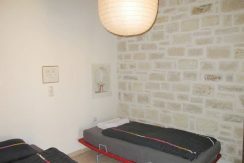 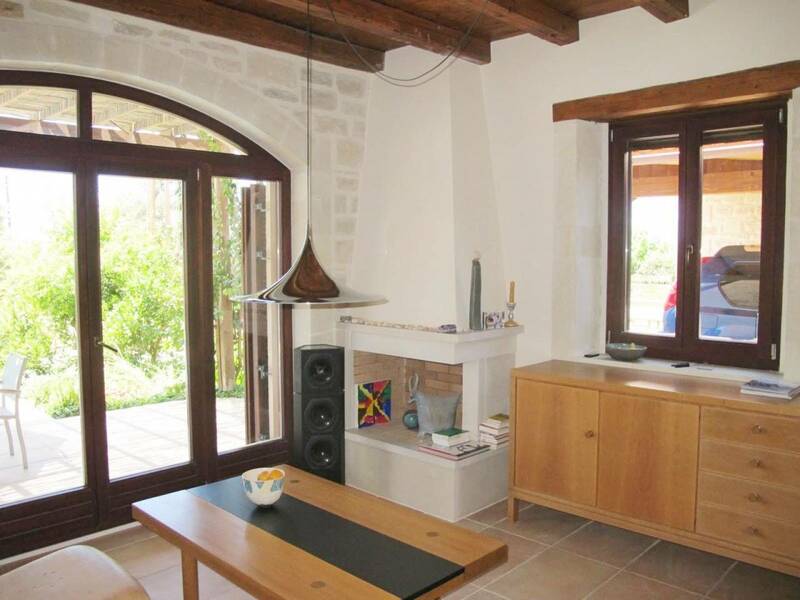 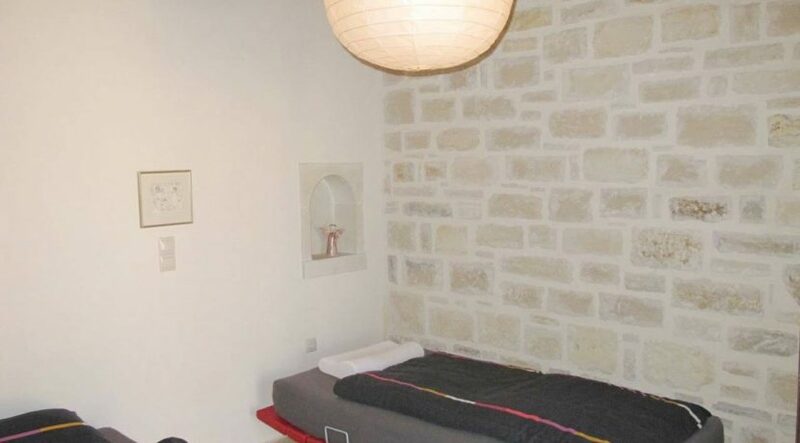 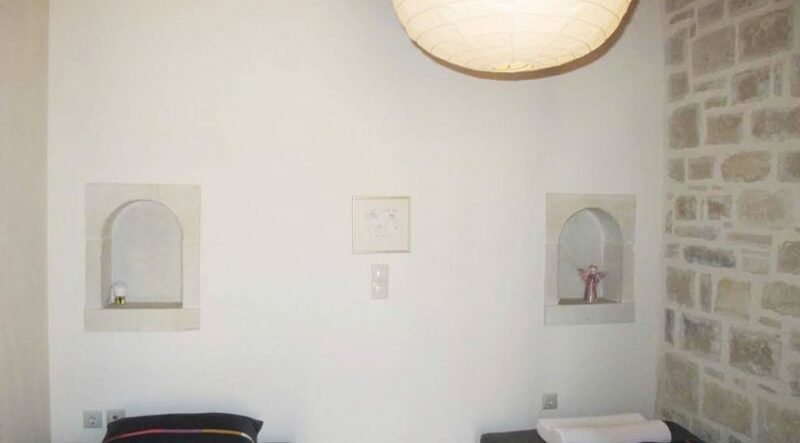 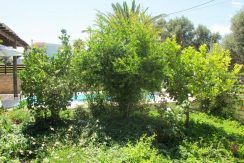 This stone villa is in size of 122 sqm on two levels and has been built in 2008 on its own plot of land of 300 sqm. 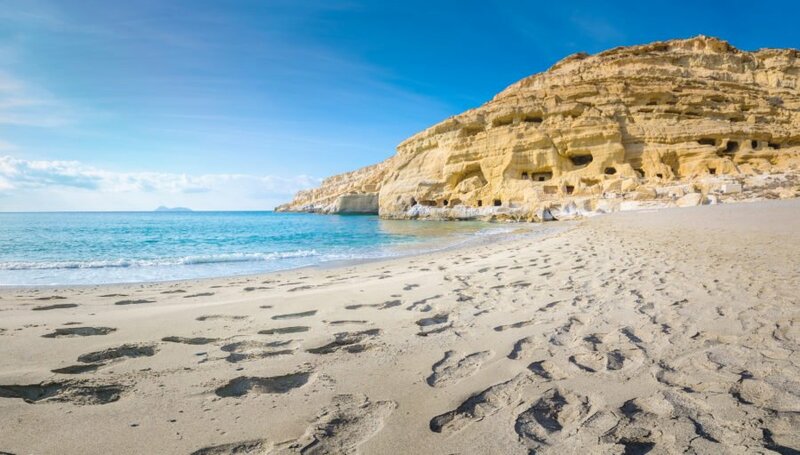 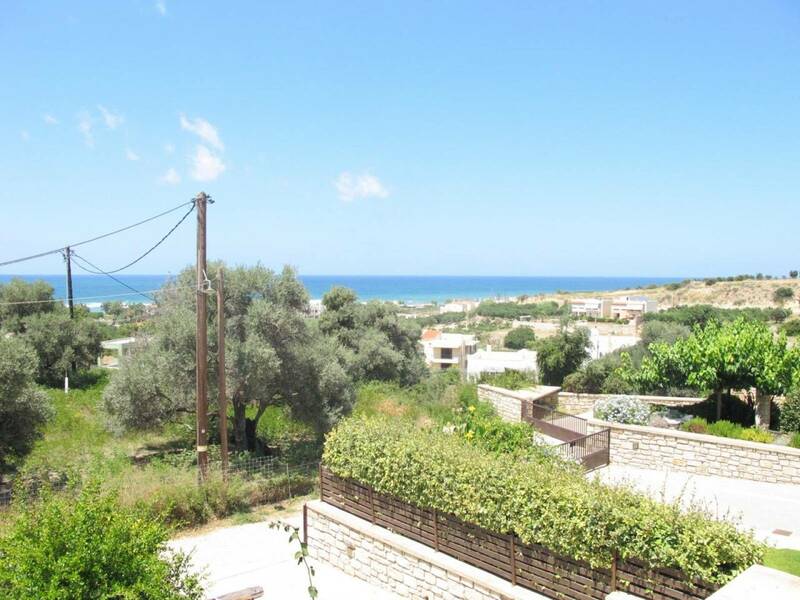 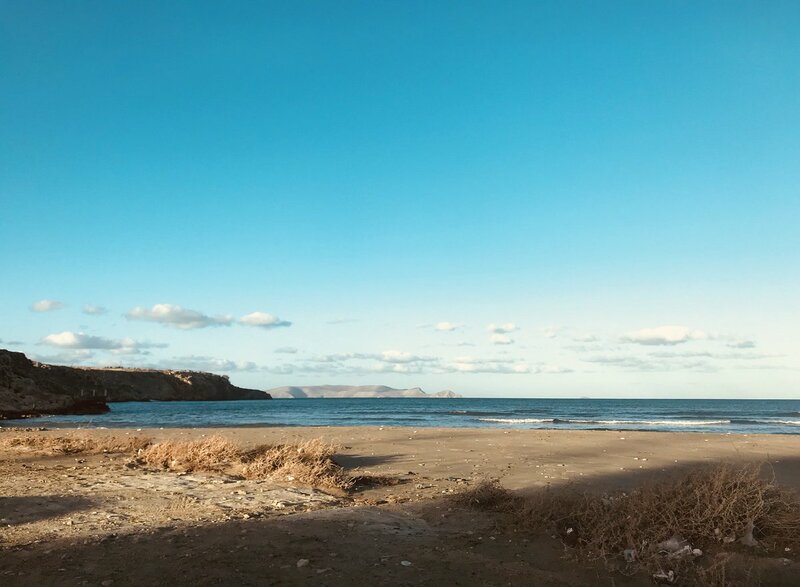 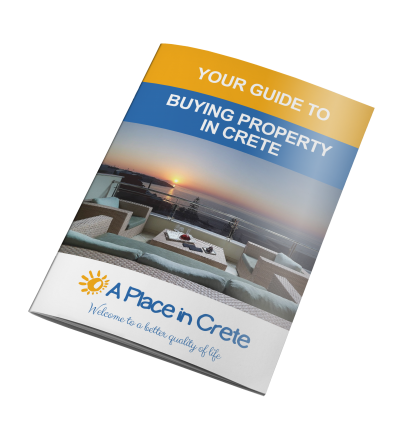 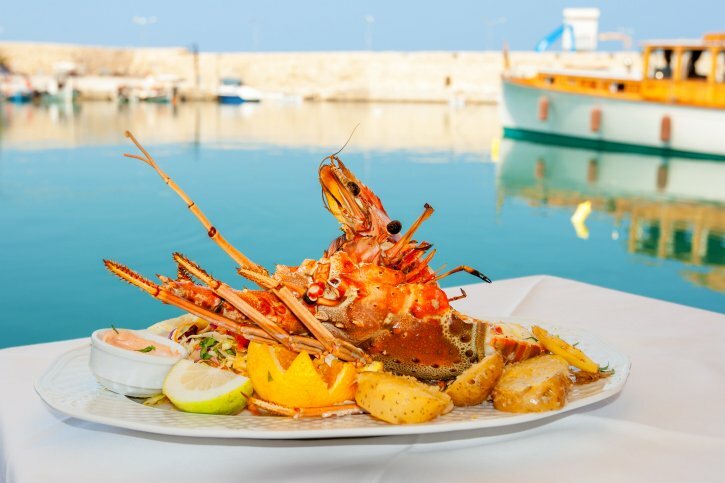 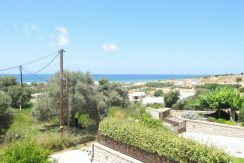 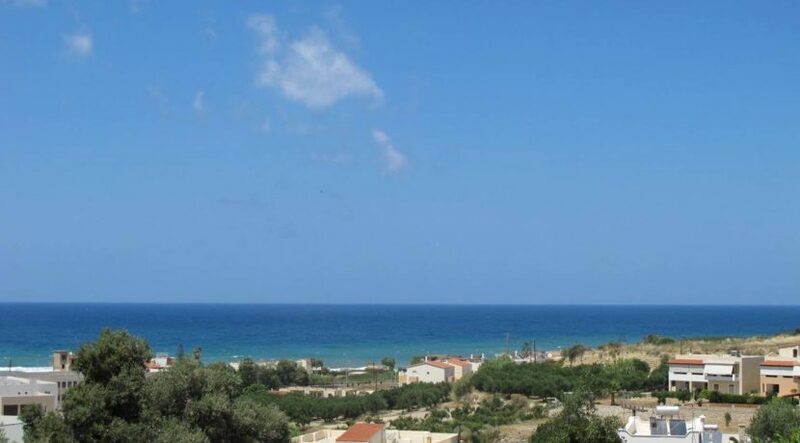 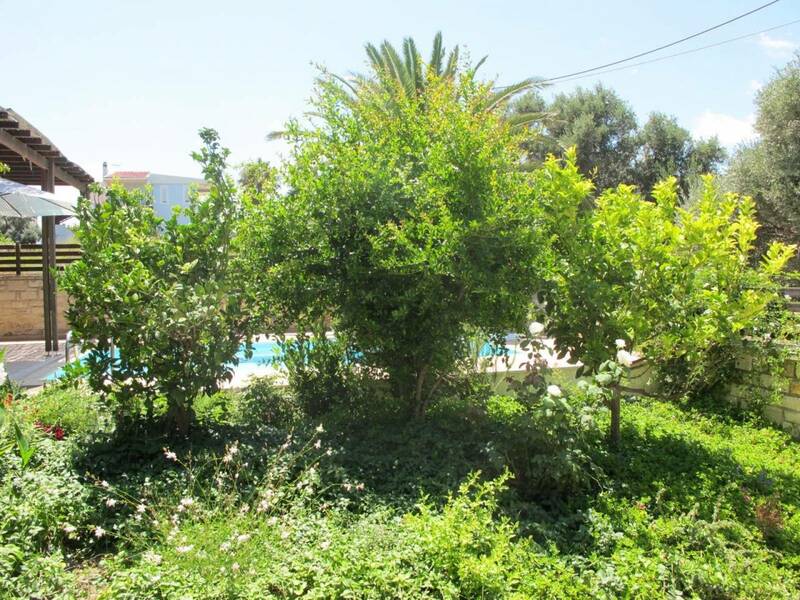 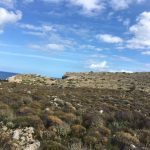 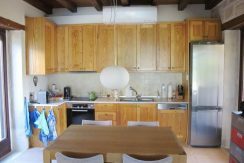 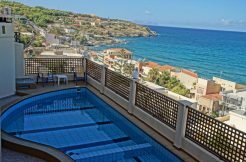 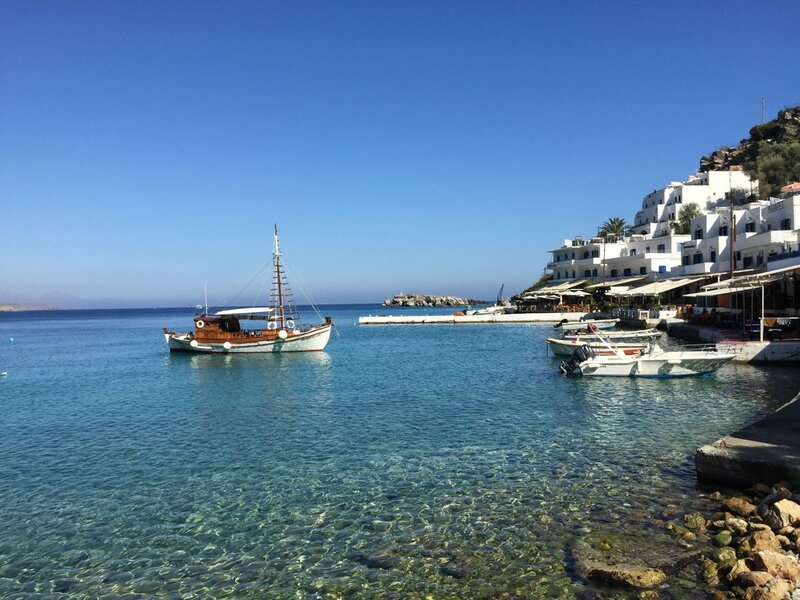 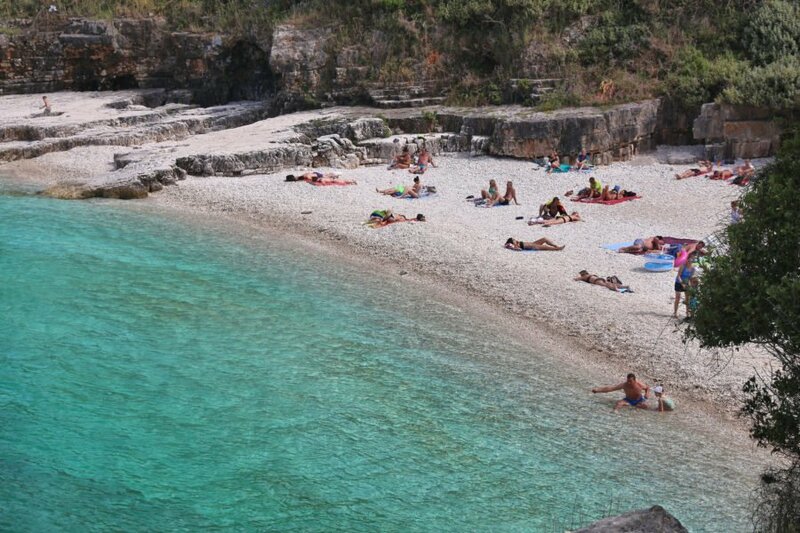 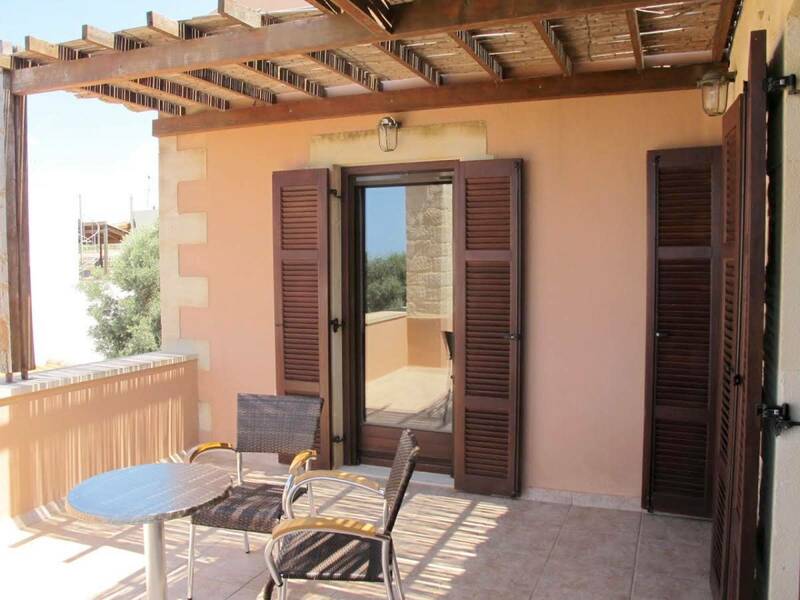 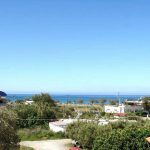 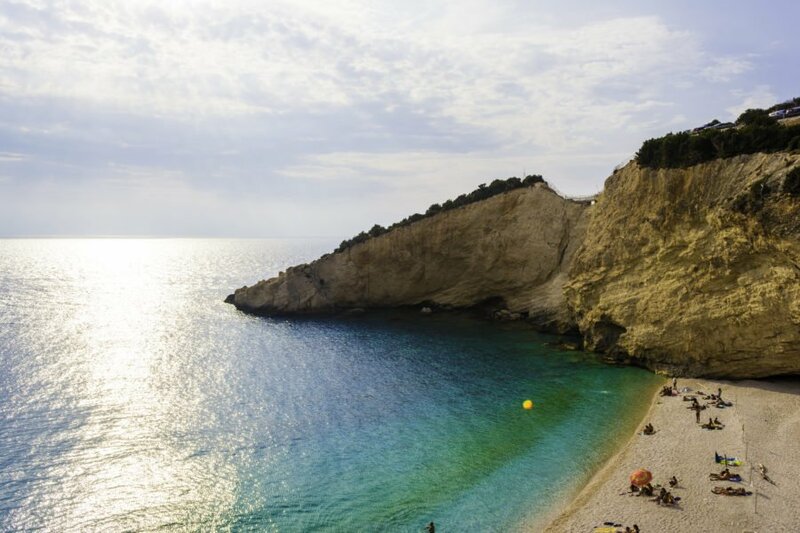 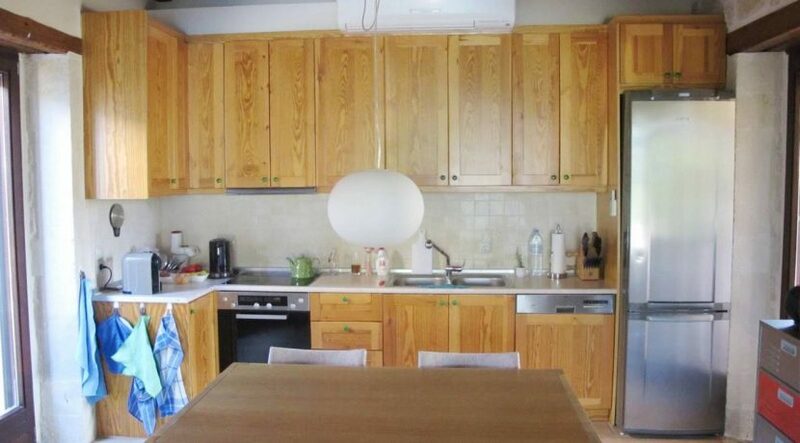 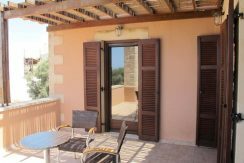 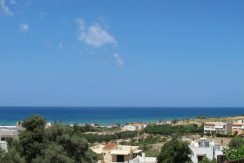 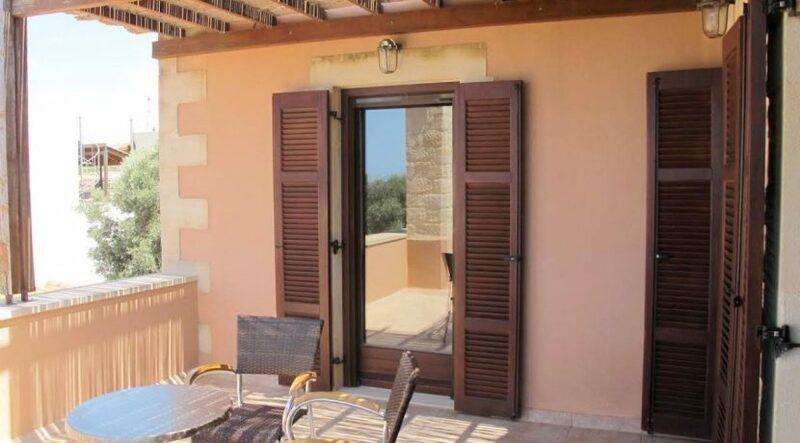 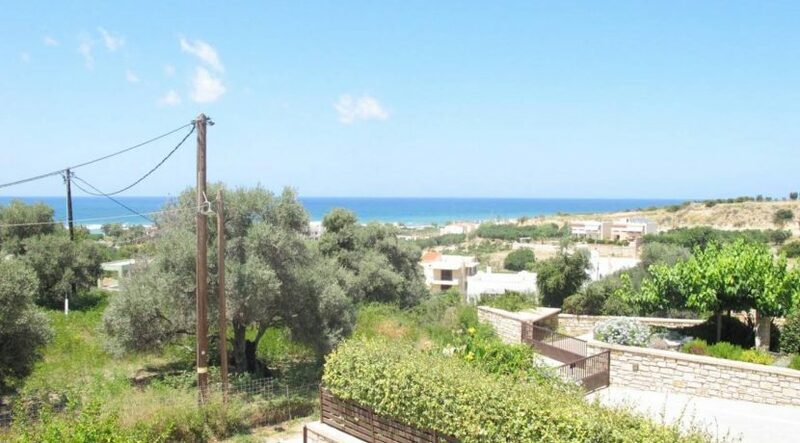 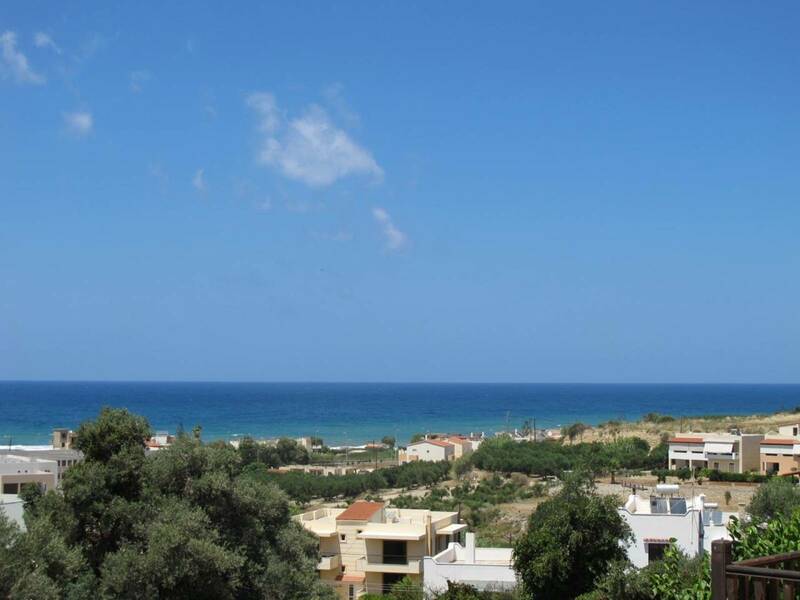 The property comprises of three large bedrooms, two bathrooms, open plan living room and kitchen with fireplace, storage place and large balconies with views of the sea, the mountains, and countryside. 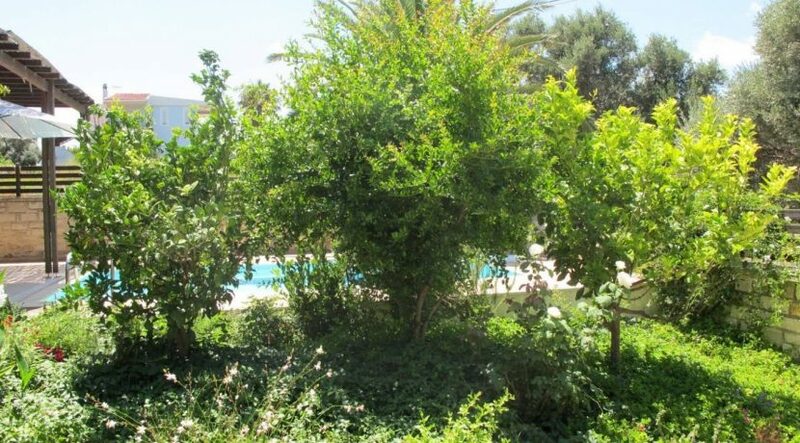 Outside area there is the swimming pool surrounded by a splendid garden full of flowers, plants, and trees. 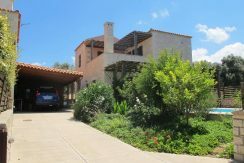 There is also, after the main gate, the garage. 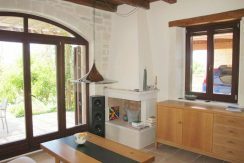 While the full utilities and facilities of the house (air conditioning, solar panel, electric heating in each room, roof terrace, swimming pool) offer the whole comfort, the location offer privacy and tranquility in the middle of nature.